Quick share today. I made this card from some scraps and a sticker sheet from my monthly scrapbooking kit from Scrapmaster's Paradise. 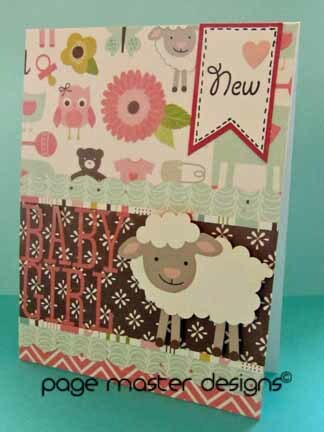 It uses the papers from Echo Parks new line Bundle of Joy girl version. I love using up my scraps!